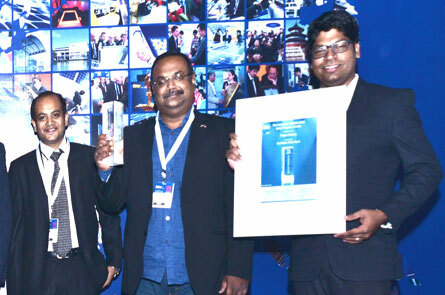 Kochi : Kochi-based Team Sustain has bagged the prestigious InterSolar Award for the second time in a row. This time, the company won the award for building the boat that works completely on solar power. Team Sustain built the solar-powered boat named 'Sunrider' in association with the US-based Trojan Battery company. The solar-powered boat is the first of its kind in India and the largest in Asia. It is a unique concept in comparison with the partly-solar powered boats as it works solely on solar power. A truly environment-friendly boat, Sunrider is ideal for use in far-off wildlife sanctuaries,bird-watching and for Resorts etc. InterSolar India is the largest solar convention and exhibition of the solar energy industry in the country, held at the Mumbai Exhibiton Centre. This year, InterSolar celebrated its seventh anniversary. By bringing together the industry, InterSolar India provides a very useful platform for the exchange of information and ideas every year. This year, more than 200 companies representing 12 countries were participated in the exhibition. 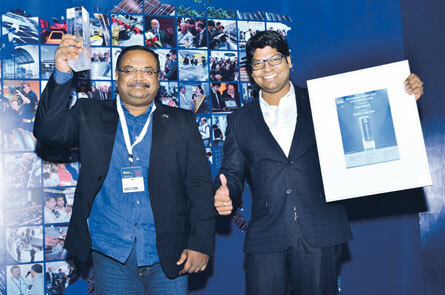 Other than Team Sustain, from Kerala, it was CIAL who won another award at InterSolar this year. CIAL won the award for the 12 MWp solar power project set up there. Team Sustain is one of the most efficient clean green technologies companies based in Kerala. The company designs highly effective and sustainable solar power projects, working in association with global companies in designing and engineering. A sustainable energy company with a successful track record of 21 years, Team Sustain sees the InterSolar Award as an encouragement to do better in the future. The company has been nominated for the award for the fourth time now where it won last year and this year.